Some recipes are so traditional you forget how good they are and, in the same time, you don’t give them too much attention because they’re something you always make at home. 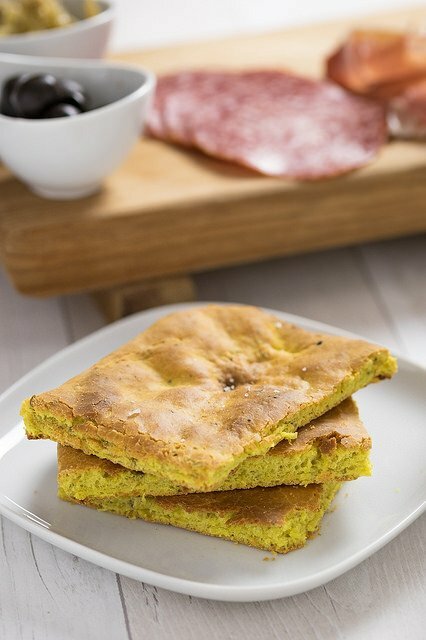 The focaccia is one of this kind of recipes for me but for a special occasion I’ve decided to renew the traditional Italian recipe and to create a new version of a classical focaccia with garlic powder, turmeric and fennel seeds. 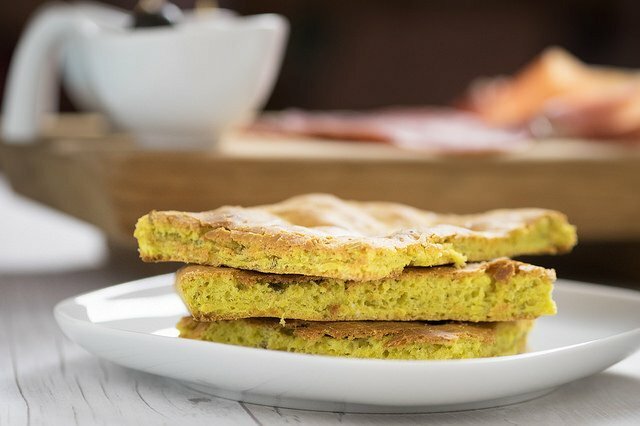 Of course you can remove all of these ingredients and bake a simple and authentic Italian focaccia. 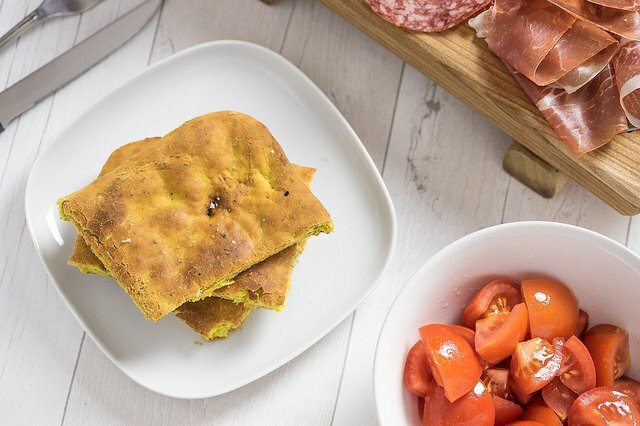 It’s an easy recipe everyone can make at home and it doesn’t require skills or special techniques in the kitchen; you only need a couple of hours to have a good focaccia to be eaten with cheese and cured meats. 1. Mix the yeast with the sugar and then, stirring with a fork, also combine flour, turmeric, garlic and fennel seeds. Add enough warm water slowly, stirring constantly until you get an elastic and smooth dough. 2. Put the dough to rise for 1 hour in a warm place so after the time, take it back and spread it in a greased pan with extra virgin olive oil, letting it rise for another 30 minutes. 3. Drill holes on the surface of the bread with your fingers and let the focaccia rise for 15 minutes more. Turn the oven to the maximum and in the meantime brush the surface of the focaccia with more extra virgin olive oil and sprinkle with salt. 4. Bake at 180° for 15 minutes and then raise the temperature and cook for another 10 minutes at 200°. Cook for a further 5 minutes at 210° being careful not to burn it. Bring the focaccia out of the oven, cut and serve immediately. 5. Always let the dough do its second rise in the pan it will be baked in.